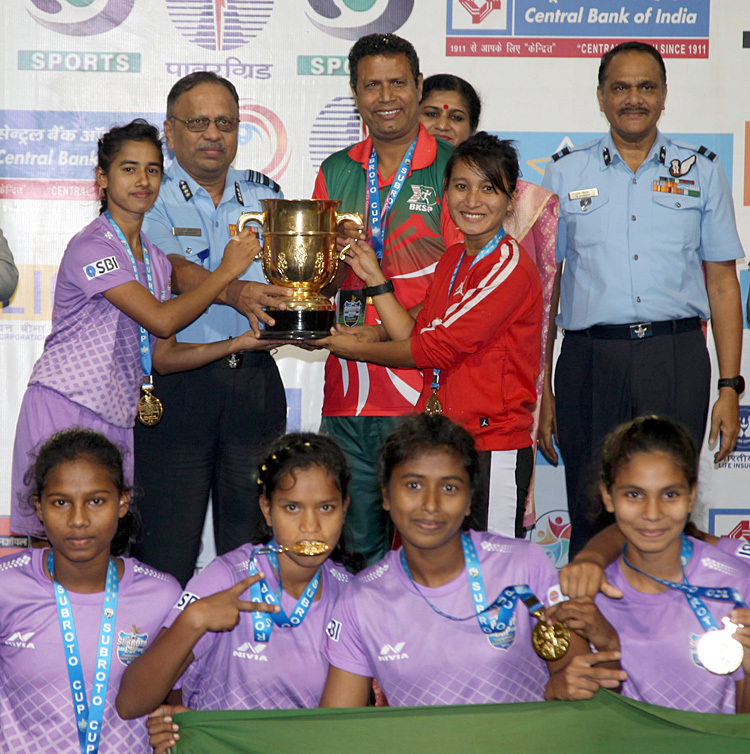 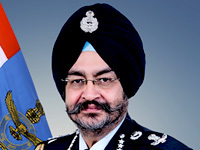 Air Marshal Pradeep Padmakar Bapat VSM, Air Officer-in-Charge Administration presenting Winners Trophy to the Captain of Bangladesh Krida Shiksha Protishthan (BKSP), Bangladesh Team after final match of Junior Girls (U-17) of Subroto Cup International Football Tournament-2018 held at Dr. Ambedkar Stadium, New Delhi, on November 9, 2018. 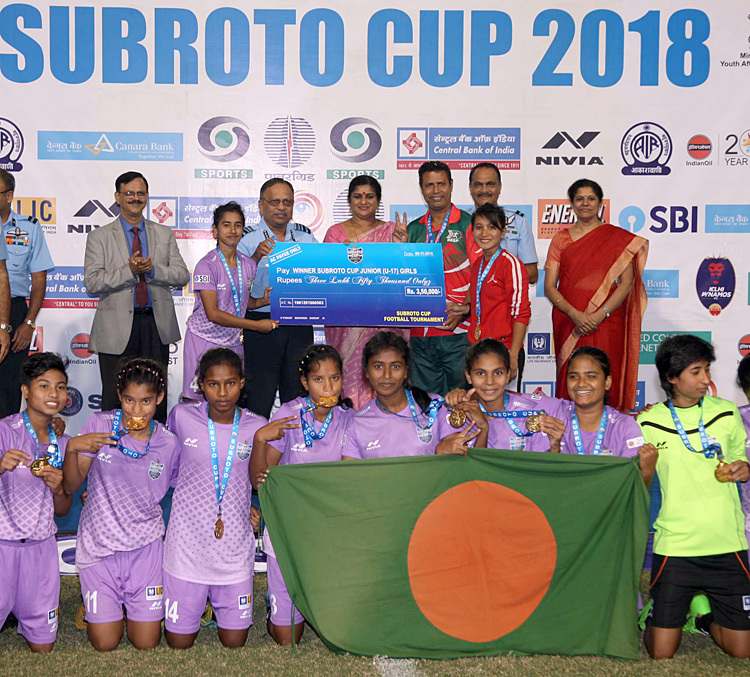 Air Marshal Pradeep Padmakar Bapat VSM, Air Officer-in-Charge Administration with the winning team of Bangladesh Krida Shiksha Protishthan (BKSP), Bangladesh after final match of Junior Girls (U-17) of Subroto Cup International Football Tournament-2018 at held at Dr. Ambedkar Stadium, New Delhi. 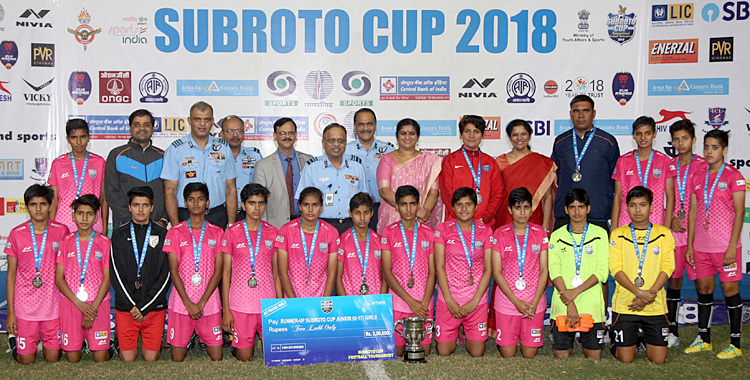 Air Marshal Pradeep Padmakar Bapat VSM, Air Officer-in-Charge Administration with the runner up team of St. Joseph International School Hisar, Haryana (CBSE) after final match of Junior Girl (U-17) of Subroto Cup International Football Tournament-2018 held at Dr. Ambedkar Stadium, New Delhi. 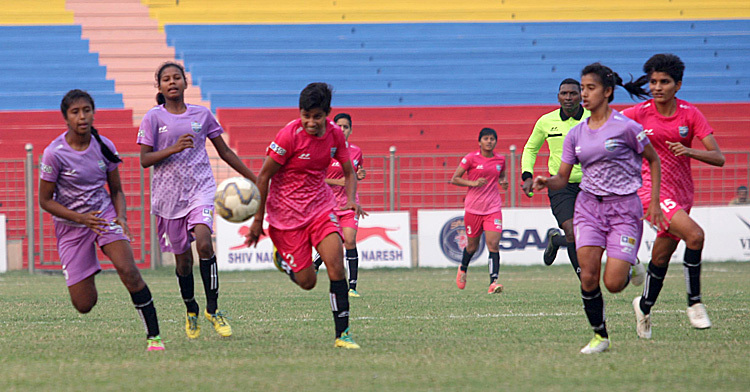 Glimpses of Junior Girls (U-17) final match of Subroto Cup International Football Tournament-2018 played between Bangladesh Krida Shiksha Protishthan (BKSP), Bangladesh Team and St. Joseph International School Hisar, Haryana (CBSE) at Dr. Ambedkar Stadium, New Delhi.